You can call it networking or meetups. But deep down, startup founders, like any other species, just want to be part of the herd. Well, first you want to be part of the herd, and then you want to be the alpha – the leader. But let’s take it step by step. Where does this herd of startup founders hang out? As a native Bangalorean and someone who meets hundreds of startups every month, it is my privilege to introduce to you the top 10 Bangalore hotspots for meeting startup founders. 1. The Courtyard Restaurant, Evoma Business Hotel, Old Madras Road, K.R. Puram, Bangalore. 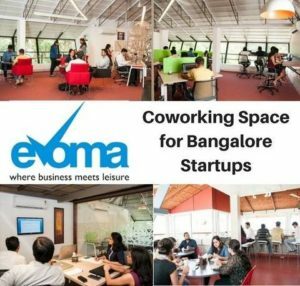 Every business centre in Bangalore has a large number of startup founders at any given time. 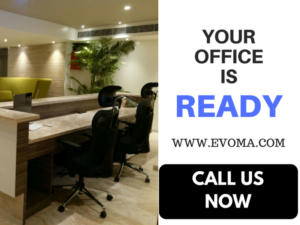 But the Evoma Business Hotel is the only one in Bangalore that combines office space with a business hotel. This particular Evoma is home to a booming startup community, and you can find dozens of them hanging out onsite at The Courtyard Restaurant at any given time of the day or night. 4Startups hosts startup events at the above address from 9.00 am to 1.00 pm every first Saturday of the month. The events are free to attend but registering for the event is a must. There is a separate time slot for networking and panel discussions. 3. The Minute Bistro, Kasturi Nagar, Bangalore. The cafe charges you per minute you spend there, and not on what you eat. Food is free. 4. Costa Coffee, 4th Block, Koramangala, Bangalore. The outlet located in the heart of Bangalore’s own sizzling startup neighbourhood Koramangala (the area with the highest startup density) is a must-visit. It’s a daily haunting ground for startup founders, and a defacto destination for VCs to scout for talent and meet promising startups. The location is teeming with startups. Flipkart’s office is just down the road, and others in the area include Ola, Swiggy, Big Basket, etc. 5. Entrepreneur Cafe, Somewhere in Bangalore. Entrepreneur Cafe is a global movement where entrepreneurs get to meet, discuss ideas, make new friends, build relationships, explore new avenues and get inspired, all over a coffee. They meet on the 2nd and 4th Thursday of every month. The meetings are free to attend but you need to pay for your own coffee. They normally meet up at coffee shops and hotels like Starbucks, Sheraton Grand, and the like. To see the next venue, meeting topic or for any further clarifications, check the Bangalore City Mayors’ facebook page. 6. Chaipatty, 100 Feet Road, Indiranagar, Bangalore. Old Airport road, Domlur, and Indiranagar are home to many startup and startup incubators, and Chaipatty is one of the most famous startup creches serving the startups in this area. 7. The Ants Cafe, HAL 2nd Stage, Indiranagar, Bangalore. Nestled among leafy trees just off the bustling 100 Feet Road, this serene place puts you at ease the moment you step in. Anirban Majumdar, co-founder, Urban Piper used to work frequently from this cafe. 8. The Yogi-sthaan Cafe, 60 Feet Road, Indiranagar, Bangalore. This is yet another startup hotspot in Indiranagar. Along with microbiotic vegan-friendly cuisines, the cafe also offers free high-speed WiFi, yoga classes, rooms for long and short term stays, an organic store, and an art gallery. 9. MLR Convention Centre, Brigade Millenium Campus, J.P. Nagar, Bangalore. This convention centre hosts the HasGeek conferences, workshops, geekups etc. The programs are spread throughout the year, and provides participants with a platform to share real knowledge. Of course, you also get to meet some really brilliant and innovative startup founders. Located in yet another Evoma that houses hundreds of startup founders. Includes a coworking space on the third floor where you can ‘network’ with all the startup founders and freelancers who make use of the space. There’s a rooftop cafe on the top floor with a nice view that’s also filled with startups and business owners who hang out there all day. If you have been to any other startup hotspots in Bangalore that deserve mention here, you can add them in the comments.